Tell us about your role and journey into Marketing Technology. What inspired you to start Admo.tv? Way back in 2011, my business partner and I wanted to launch a digital loyalty card company. We believed in the idea (and still do), but by that point, the market for this was saturated, so we decided to invest our energy elsewhere. However, this wasn’t a wasted endeavor — this line of thinking brought us to the concept behind Admo.tv. By this point, the digital revolution was well underway — smartphones were everywhere, and so were tablets. Specifically, these two inventions changed the way we consume media, and most importantly, how we watch TV. We were certain that this seismic change in screen fragmentation would have an impact on the advertising sector, which for all intents and purposes, hadn’t really changed in over 60 years. For us, the digitization of TV was as much of an opportunity as it was a challenge. With this in mind, we were determined to bring the advantages of digital to traditional TV advertisers, which led to us launching Europe’s first TV analytics platform. This would allow brands to maximize the efficiency of their TV ads by understanding the exact impact they have on their online business, mostly using this “second-screen” effect that allows TV to become a primary driver of business results. The opportunity we wanted to take advantage of was a clear — yet untapped — need for brands to realize how their TV ads were impacting their online traffic and business and how this data could help them optimize their media plan and global TV efficiency. At this point in time, ROI in TV ads wasn’t really a thing — and this needed to change. Our first technological development was a tool that would recognize in real-time when a TV ad broadcasts, and then show the link back to online traffic generated as a result. The initial idea that led us to founding Admo.tv is just as relevant today, if not more so. 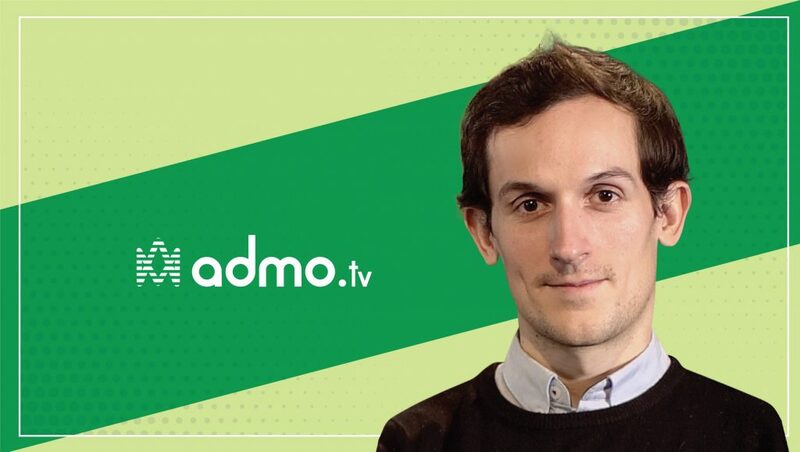 How does Admo.tv fit into a modern advertising technology stack? Admo.tv’s analytics platform is based on a patented technology of TV detection called ‘fingerprinting’. This technology compares the signature of the images and sound, constituting the TV stream, to an exhaustive database composed of all the images and audio samples of the advertiser’s TV spots — providing accurate media planning to the nearest second. This technology is the only one on the market that allows brands to analyze the impact of their advertisements, including the size of the advertising break, the television context, the position of the spot in the break, and, even the spots of competitors. The set-up for our clients is very simple — we will install our proprietary tracker on their website. 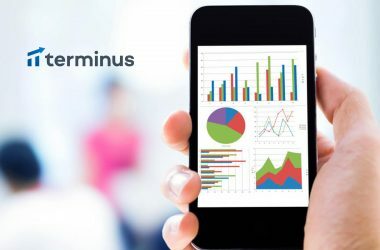 Once this is in place, we are then able to provide them with the analytics data they need to effectively measure the performance of their TV ad campaigns — visits, conversion and user actions. The data can then be exported and integrated with any DMP or CRM of each brand for further action. How does Admo.tv technology maximize the effectiveness of TV ads at each step of the user’s journey? In a vertical known for its lack of quantifiable ROI data, our platform allows ad buyers to measure and optimize the impact of TV adverts on online traffic. Brands can optimize their media planning due to Admo.tv’s insights, based on their objectives: more visits, more conversions, geographical engagement and more effective TV visitor profiling and targeting. Primarily, our platform allows ad buyers to ensure that the TV media plan and TV acquisition model are both optimal, and to help ensure that engaged TV viewers can be converted into online traffic. For us, part of this comes through ensuring that the brands we work with are ranked as high as possible on Google AdWords. For example, if I see a car commercial and type “buy a car” on Google a few minutes after the ad, the brand behind the ad should rank first, rather than a competitor! This is where our ‘Adboost’ function comes in — this tool helps brands improve their Google ad rankings when running a TV ad campaign. We also help brands maximize the conversion of TV ad viewers into online traffic. By using Admo.tv, brands can increase conversion by two or three times the organic level. To do this, we help brands retarget their TV engaged user with online ads and also provide them with live personalization of the website, after the airing of each spot, in real-time. Ultimately, this means that we’re able to help brands maximize ROI from 20 to 100%, between just two campaigns. From the time you started Admo.tv, how much have TV and radio advertising analytics evolved? The TV and radio landscape has changed beyond recognition (for the better) since Admo’s foundation in 2011. Above all else, brands now need three things to help optimize their TV and radio ad spend. Primarily, they need transparency on costs and results to ensure that their spend is as effective as possible. This is achieved by having the necessary data required for marketing leads to showcase their results. To achieve this, marketers also need a full view of their media investments — keeping analytics in silos is a surefire way to overspend, or to miss a potential opportunity for a better ROI. Why is this the case? Not only do we now have the tools to measure success, but the impetus to do so is at the front of mind for every CMO or advertising lead, both in-house and on the agency side. “Old School” TV advertising doesn’t have a place in today’s world. As brands now do a large part of their advertising through the likes of Facebook and Google, applying the same standards of measurement and ROI analysis that they get from digital to TV is a no-brainer. How did you prepare for your latest funding round? How do you plan to extend the benefits to your employees, customers and product teams? Since launching in 2011, Admo.tv has grown revenues at over 200% every year — growth and success is central to our culture. On the back of this funding round, we are planning a major expansion of our UK office, and we’ll look to open two new offices, in Germany and Spain, over the next 12 months or so. Our goal is to redefine TV planning in Europe, and our rapid growth has given our staff a rock solid belief in this vision. But, this will only continue if we retain and recruit the right people in each of our offices. At the moment, we’re recruiting heavily across all business functions to grow at an even greater pace — namely in our technology, operations and R&D divisions. The latest funding round will also help us to continue providing our customers with market-leading technology — as a next step, we now want to look at our ‘ad-to-store’ and branding offering, and this funding will give us the firepower to develop these features further. Above all, we keep building on our vision to further establish the first performance-based TV planning platform in Europe. As a CEO, how do you identify the biggest advantages and challenges in digital commerce? What role does Admo.tv play in overcoming these challenges? The same as with any business really, in this era of digital transformation we’re living in! Whether you run a hedge fund, a restaurant chain or an AdTech start-up, the rules are always the same. The value proposition you create must be targeted to the right people at the right time; you can have the best product in the world, but if no one relevant knows about it, your proposition won’t go anywhere. 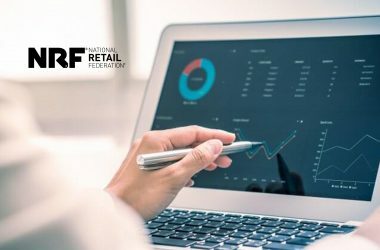 But, I guess the difference between digital commerce and bricks-and-mortar is that with digital, you have reams of data which can help you understand whether or not you’re optimizing your business model in the most efficient way possible — this is just part of being digital by nature. And, whilst this is an opportunity, it can also be a challenge if not managed properly. Digital brands need to ensure that they utilize this data properly — this means no data silos and no mis-investments. If the correct analysis tools are employed by these digital brands, they’ll be able to market the right ads to the right audience. Not to blow our own trumpet, but I’d like to think that Admo.tv is one of these brands helping disruptive businesses, such as ASOS, understand the effect of their TV ads and their position in the whole user conversion tunnel. When it comes to digital, the brands that get this right will then have more time (and more money) to spend on their core business. We invest in people! Even with the best technology in the world, without intelligent, savvy, happy staff, your business won’t go anywhere. Which is why I am a big proponent of a “staff first” culture. Without happy, motivated staff who love coming into work each day, our clients wouldn’t get the level of service they deserve. Motivation and belief in what we do is the most important thing I can provide my staff with. What’s more, with great staff comes the ability to develop great products. We always invested heavily into R&D. In this team, we already have world-class Ph.Ds driving innovation, and they’re helping us to stay two steps ahead of our competitors. Client retention is also key — we always look to work on the relationships we have with our clients, and we always look to build a greater and greater rapport with the agencies and brands we work with. Most importantly, we always ask for their feedback — we want our offering to be an asset to them, rather than just another tool they have to manage. What are your predictions on the most impactful disruptions in TV Analytics and Programmatic technology for 2019-2020? Conventional TV advertising will continue to decline, and performance-based TV buying and planning will continue to grow. I also believe that the concept of TV ad budgets will change — in 2019, it’s more relevant to talk about video ad budgeting. Allo-Media — this is an AI firm that uses semantic language processing to improve the ROI of voice/phone call marketing. I’ve always had a soft spot for firms that disrupt traditional media or marketing practices. I also find firms that work on 360-degree ad distribution interesting — we work closely with some of them, namely Mazeberry and Wizaly. By investing in people! AI presents great opportunities — it allows people to focus on more strategic work, by freeing up the time taken by admin-heavy tasks. Qualitative strategies will still be run by people, but quantitative can be carried out by AI, especially when it comes to processing tons of data points. With this in mind, we are developing an AI-powered platform of TV planning because there is no human that could analyze billions of data in seconds. Ultimately, that empowers humans brands and their media agencies to focus on what matters: strategy and business decisions based on data insights. By highlighting that technology can help them focus on more mentally stimulating tasks. We don’t need to reinvent the wheel, just use existing tools to work smartly and drive efficiencies. Focus on my business goals — above all else, a focus on the big picture matters the most. Trello — classifying tasks as ‘done’ is deeply satisfying. Very specific mailboxes on Outlook are also incredibly helpful when it comes to staying organized. I consume a lot of news on or around the media sector — this comes through newsletters, blogs and news websites. You can not multiply yourself, so focus your time and skills on the tasks that create the most value. As a CEO, this also means focusing your time on what you’re good at, and then delegating what you’re not so good at to the brilliant people you surround yourself with. Also, be KPI-driven. Well, I don’t know if I do this better than others, but one of my strengths is that I am 100% involved, all the time! For me, motivation and energy is a big part of any successful person’s character. The secret is simple: having a goal and a vision, and persevere until you materialize it! 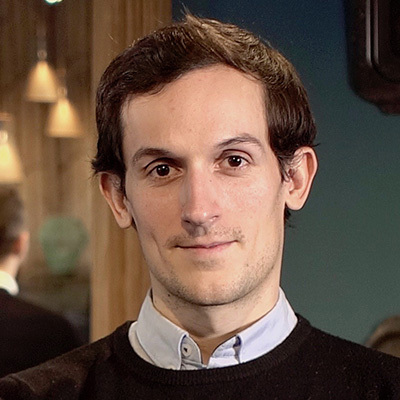 I’d love to read what Romain Sambarino, CEO of Allo-Media, would say because he is building an awesome product (and, it also helps that he is a close friend!). Thank you, Pierre! Hope to see you back on MarTech Series soon. Pierre Figeat is President and Co-Founder of Admo.tv. He is also the President and Co-Founder of ClickOn. Leader in TV and Radio Analytics, Admo.tv platform allows advertisers to measure and optimize the online impact of their offline investments. Thanks to this drive-to-web data, advertisers can optimize their branding impact as well as their advertising ROI, by 30% in average. After 6 years of experience in TV/digital convergence, today, Admo.tv services more than 200 clients and has analyzed more than 1,000 offline campaigns. With its offices in Paris and London, Admo.tv operates in more than 15 countries.